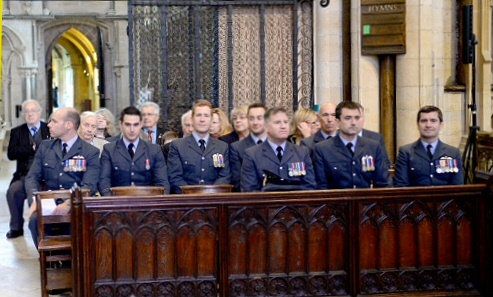 Another view of the Standard Party. 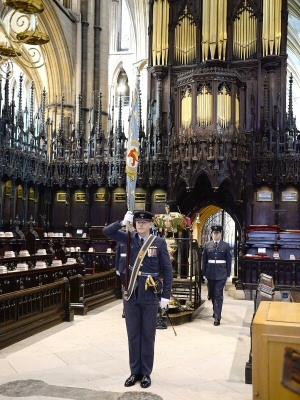 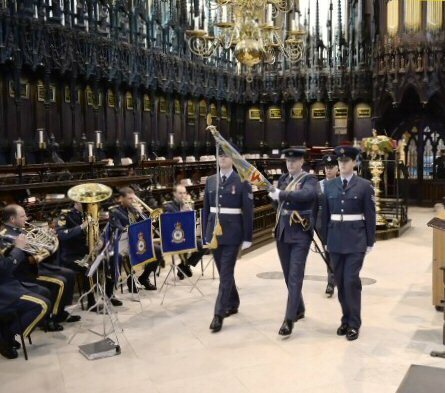 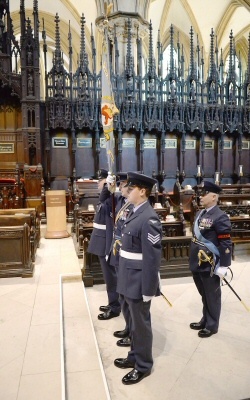 The Standard will be marched up the Nave and into St Hugh's Choir while the Band of RAF Cranwell plays RAF March Past. 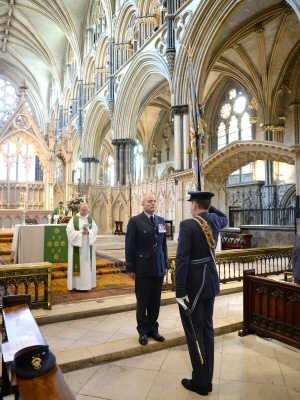 It is an ancient and laudable custom to lay up in the House of God the consecrated emblems of man's duty and service, there to remain for all time as a reminder of duty well done and of the strength that God supplies. 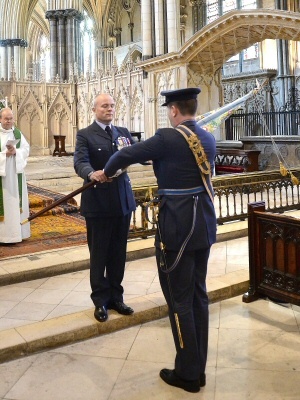 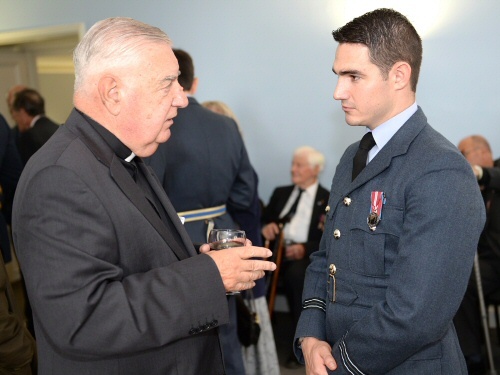 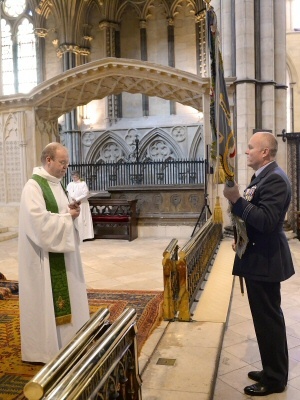 Reverend Sir, I ask you to receive the Queen's Standard for Number 207 Reserve Squadron for safe lodging in the House of God until such a time as it shall pass to dust like those whose courage and devotion are enshrined in its history. 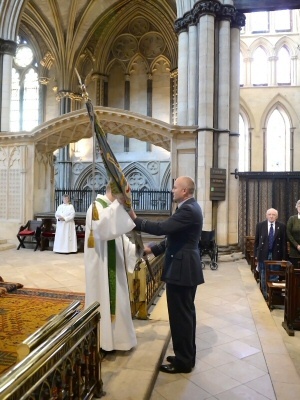 We receive this Standard into the safe keeping of God's House, here to hang for all time as a reminder to those who pass by of man's duty to God, to his Sovereign and to his country. 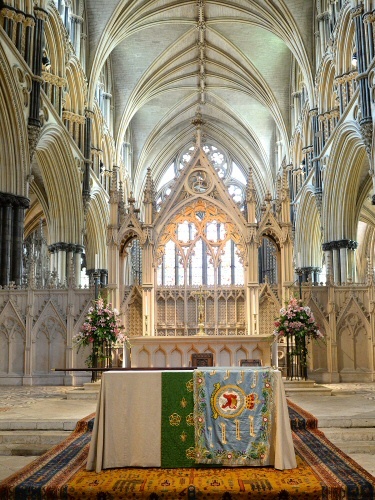 Almighty and everlasting God, giver of all strength and grace, and Captain of our salvation, we offer in this thy House the symbol of man's faithfulness. 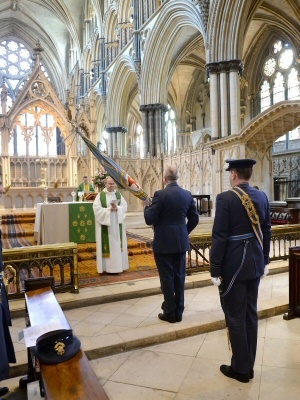 May thy blessing rest on those who have borne it unsullied through the years, and may it ever remain a sign of that unity which springs from the acceptance of'thy grace, who are with the Son and the Holy Ghost, ever one God, world without end. 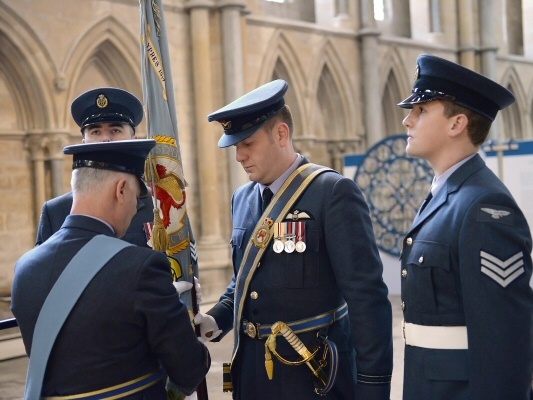 Editor: And so another chapter in the life of No.207 Squadron Royal Air Force closes, with the memories of all that has gone before recalled. 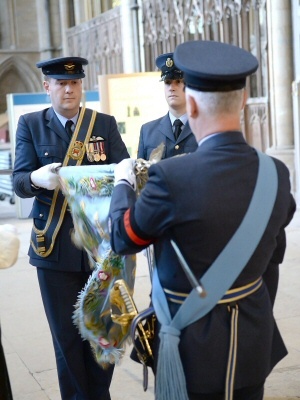 Unlikely as it may seem, who can say how long is the book? 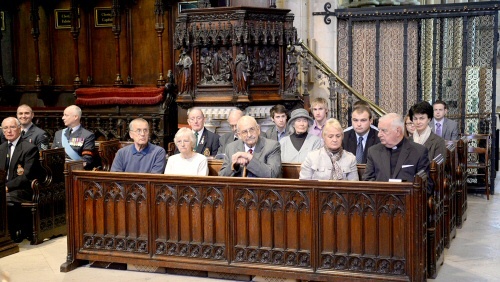 The Office of Holy Communion follows, led by Padre Stewart Shaw. 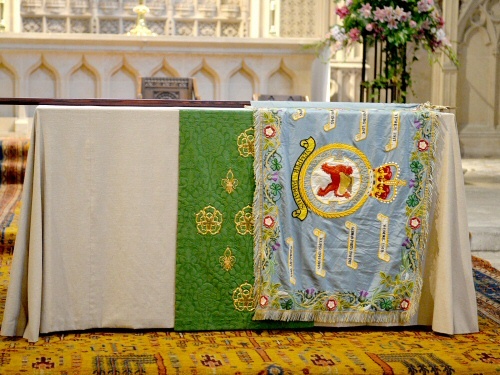 The Collect and readings are those set for the Eighteenth Sunday after Trinity in the small, black Books of Common Prayer. 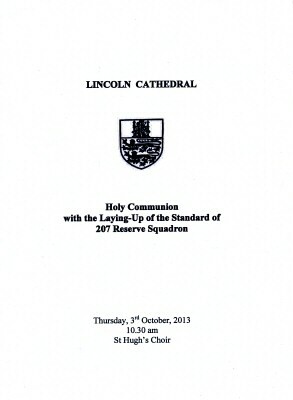 All those who usually receive Holy Communion in their own church are welcome to do so today in the Cathedral. 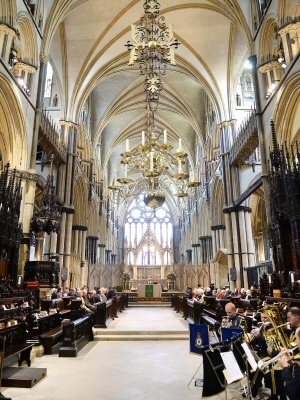 At the end of the service, all stand to sing the following, during which the clergy leave St Hugh's Choir. 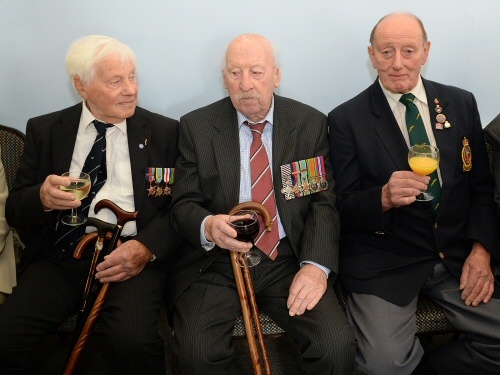 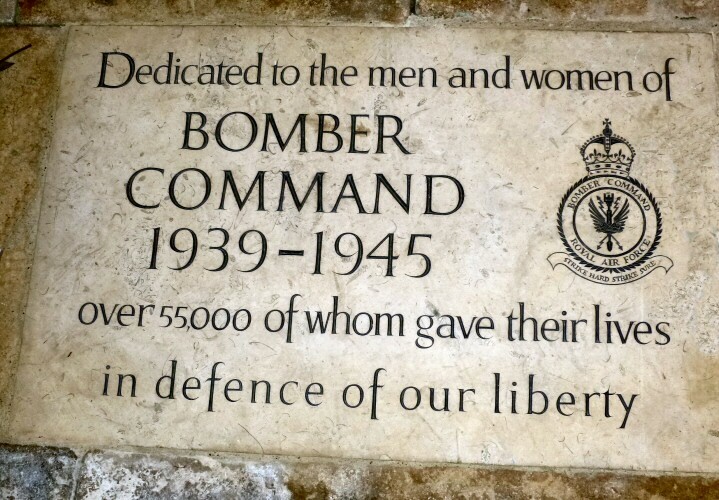 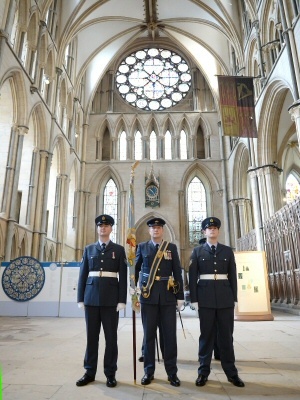 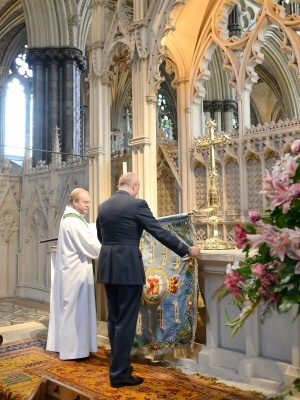 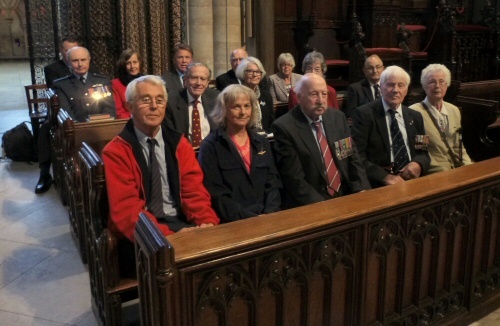 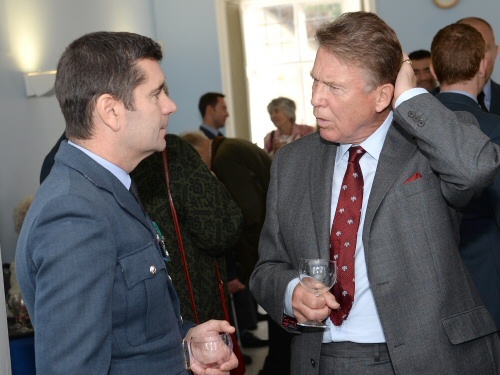 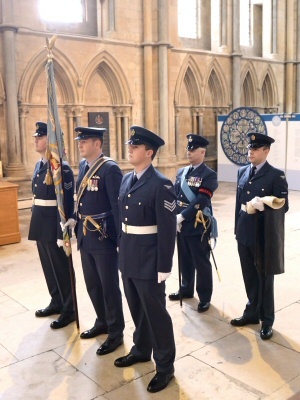 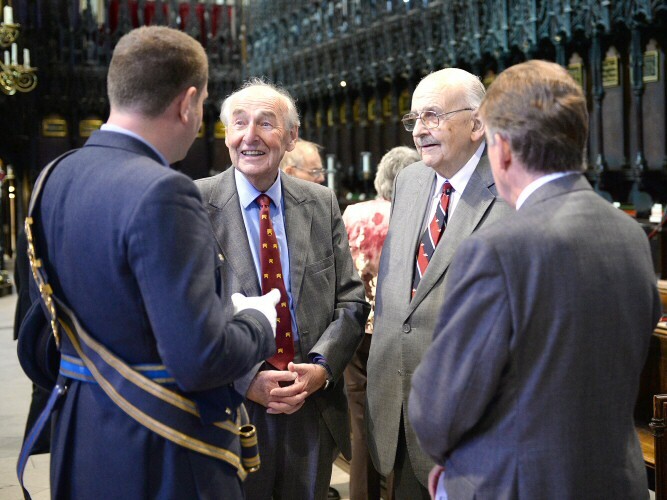 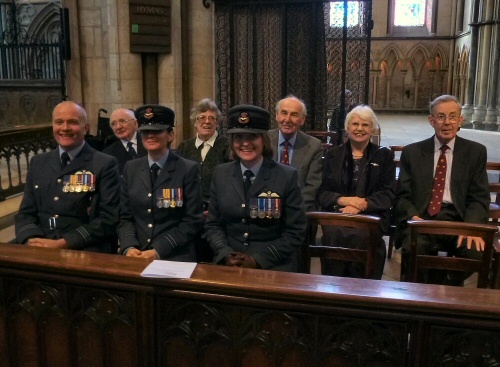 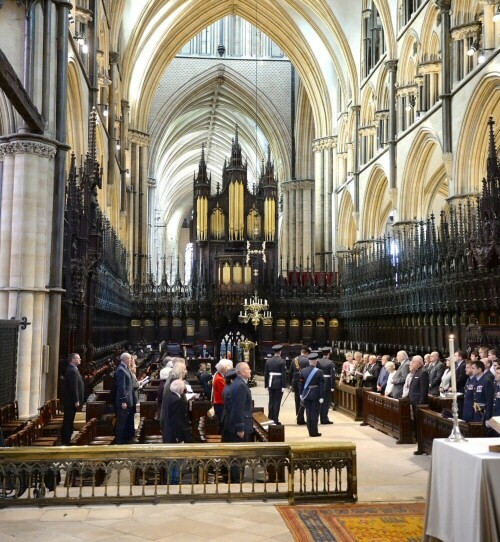 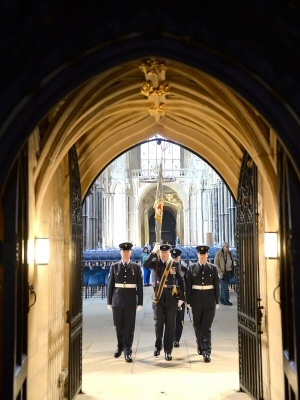 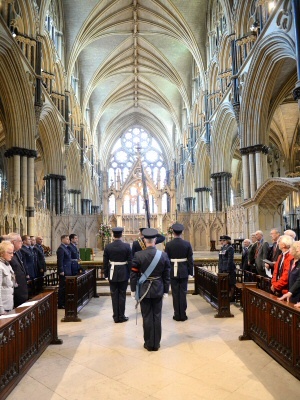 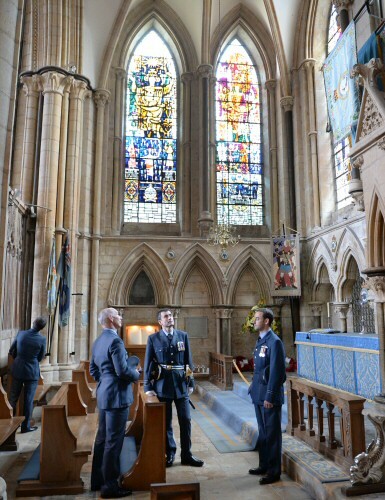 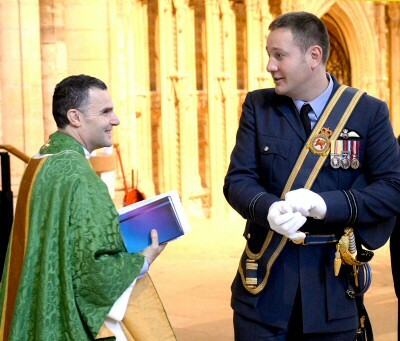 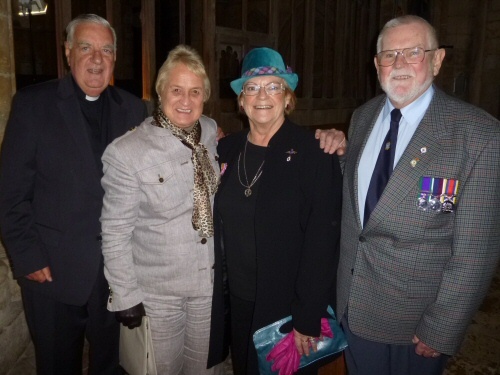 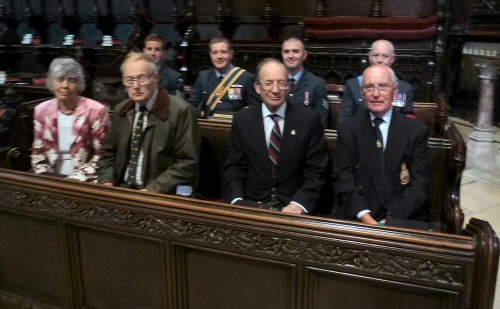 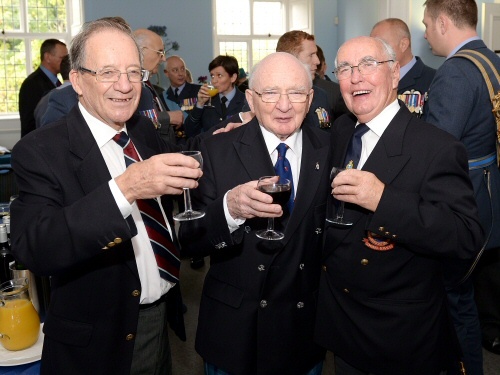 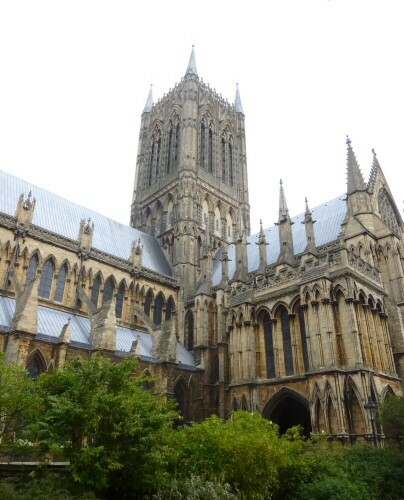 After the service, members of the congregation are invited to refreshments hosted by 207 Squadron Association in the Lincoln Cathedral Centre, opposite the south-west turret of the Cathedral.